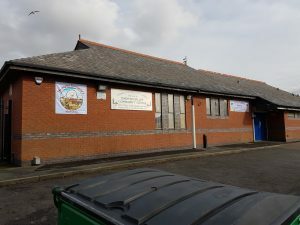 We are an independent nursery school with family values, established in 2006 in Darwen. Humpty Dumpty’s Nursery is committed to providing a safe, friendly and stimulating environment for children aged 0 years – 8 years. The nursery offers excellent provision and a wealth of resources both indoors and outdoors.. We are able to offer children the choice of continuous indoor/outdoor provision so children may experience all weather conditions. Whilst exploring the outdoor provision, the children also benefit from accessing the local community. Children need to feel safe and have a sense of belonging to enable them to make as much progress as possible, so in providing a happy, safe and stimulating environment we are reaching each child’s full potential. We follow the national Early Years Foundation Stage curriculum which ensures that children’s progress is carefully monitored across the seven key areas of their development. The Nursery offers a happy and encouraging environment in which a child may develop pre-school skills confidently. We provide through careful organisation and planning, foundations upon which children can build a sound education and reach their full potential. 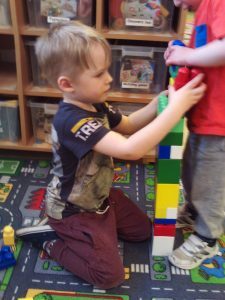 This will be achieved through the provision of a variety of activities and opportunities for imaginative play, art, drama, dance, storytelling, cooking, simple science, music, constructive modelling, reading, writing, phase 1 phonics and the introduction of mathematical concepts. We encourage all our children to form positive relationships with their peers and adults, and help develop their confidence to enable them to communicate in front of others. 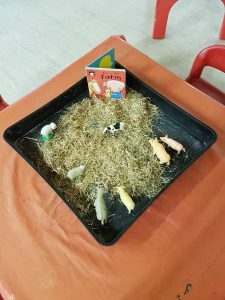 All the children are encouraged to respect the feelings, values, beliefs and property of others and we encourage children to participate fully in the nursery and wider community. Children are taught to take responsibility for their own actions and to act in a polite and courteous manner. We are committed to making partnerships with our parents and understand the importance of establishing two-way communication links. We encourage parents to take an active interest in the Nursery’s topics and they will be kept informed of the programme for each term via an updated notice board, a monthly newsletter and this website. We encourage close parental involvement and staff members are available to talk about your child’s progress or any other issues you may wish to discuss. For us, our most important aim is to provide a warm and friendly environment in which children can feel happy and secure enough to begin their education for life. We are proud of all the children who attend Humpty Dumpty’s Nursery and many of our families keep in touch once they have moved to “big school”. For further information on our SEN procedures please see below our Local Offer.